Smooth blue aster, a wildflower and a member of the Aster Family Asteraceae, is a lovely addition to a full sun perennial garden. At maturity, smooth blue aster can reach between 1 ½ to 3 feet in height and has an erect growth habit. The leaves are up to 6 inches long and 1 ¼ inches wide. One key identification feature is that the foliage is sessile, meaning no petiole or stem. The leaf margins are smooth-edged. Another distinguishing feature is the absence of hairs found along the stem and the leaves. One trick to remember the common name of this plant is that the stem and the leaves are smooth. The blooming period occurs from late summer to early autumn, lasting about 3-4 weeks. Smooth aster will remain erect during bloom time, and it has some tolerance for hot, dry weather. The nectar and pollen of the blue and yellow flower heads attract honey bees, bumblebees, wasps, flies, butterflies, and skippers. Smooth aster can be susceptible to powdery mildew, but good air circulation should prevent the fungus from developing. 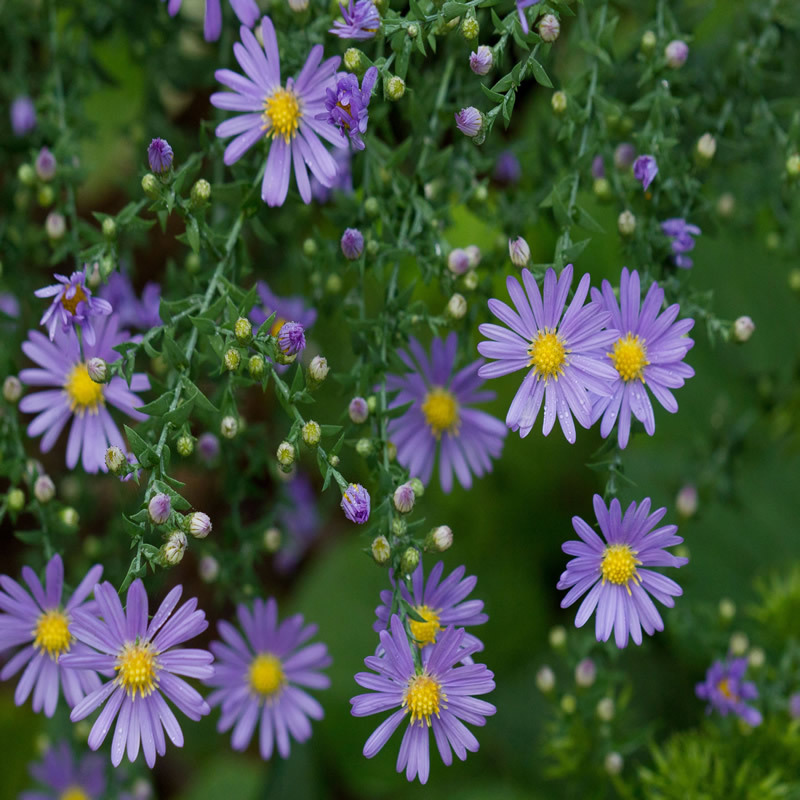 Plant smooth aster in a spot in the garden where it can receive full sun, has well-drained soil, and will not be crowded out by taller or more aggressive plants.